Why not hire our equipment and head into the wilderness for your very own adventure? To wear appropriate clothing: we recommend breathable, loose fit clothing, a couple of layers and a light showerproof jacket. A teaching classroom (max. 20 people) and reception area is available to hire for training or meetings. An additional meeting room is also available (max. 20 people). The minimum hire period is 4 hours. A discount rate applies if other facilities are hired. A safe teaching pond adjacent to the Activity Centre can be hired by coached groups with their own equipment. Exclusive rates for group hire are available giving access to teaching pond, changing facilities and showers. 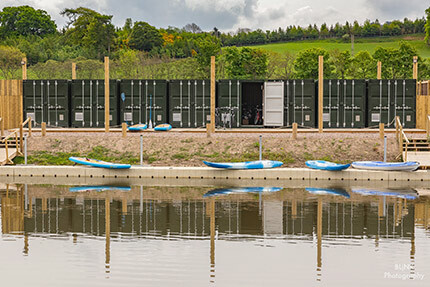 A number of equipment storage containers are available to hire on an annual basis. Containers are vented and have electricity and lighting. Mooring facilities on the river Tay. To book please fill out the attached form and return to The Tay & Earn Trust.